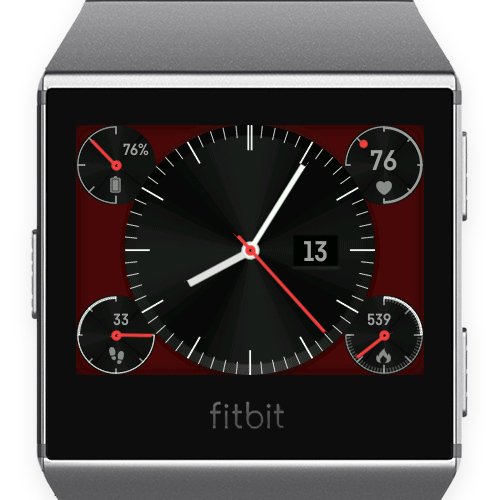 This watchface show you your heartrate, steps, burned calories, battery, date and an analog at a glance on your wrist. 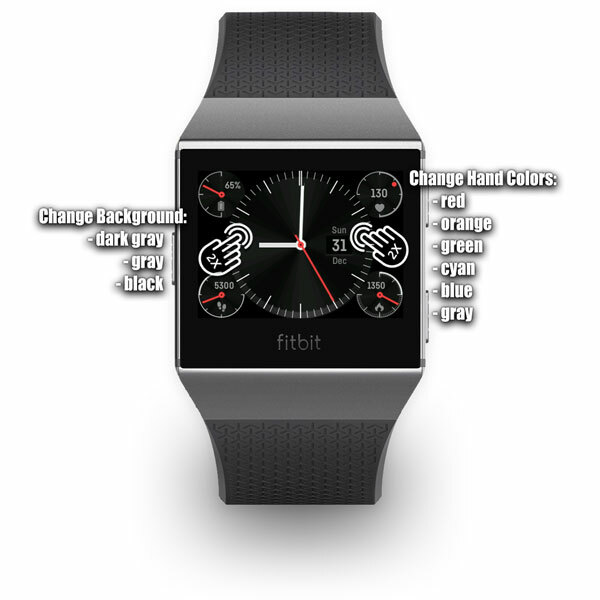 You can change the background and the color of the hands by rapidly double tapping the middle round clockface (left side for background and right side for color of hands). 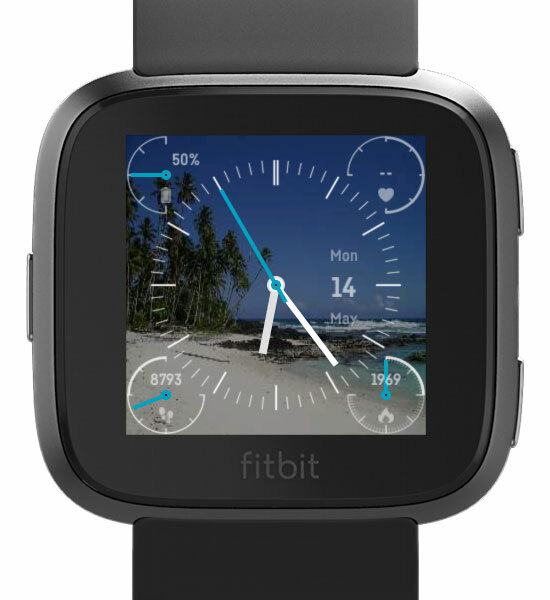 If you want to use your own background image or set other fitness data for the gauges, just use the App Settings within the Fitbit app. 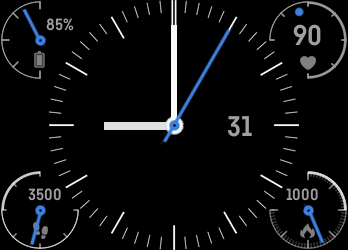 NEW: You can switch always on and off by double tapping the battery gauge. 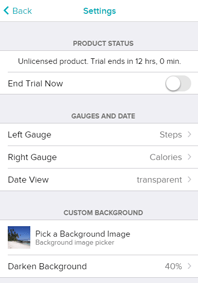 Requires a 1$ payment via K·pay after a 1-day-free-trial. In cases of reinstallation you will stated to purchase again. Please open the given website but open the link for 'Already purchased' and enter your mailaddress and current code. 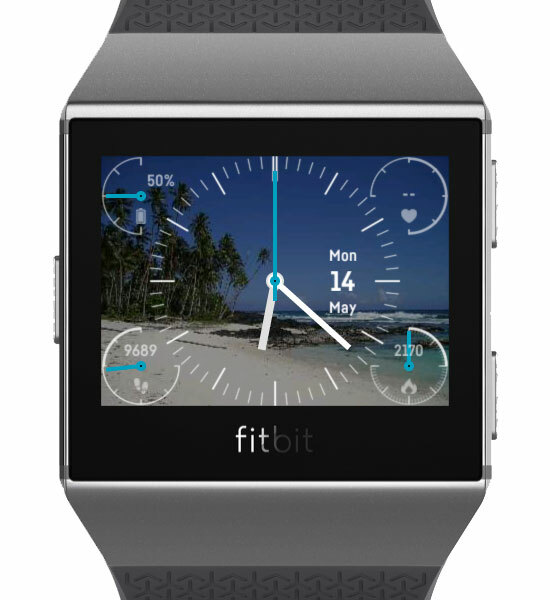 Fitbit is a registered trademark and service mark of Fitbit, Inc. 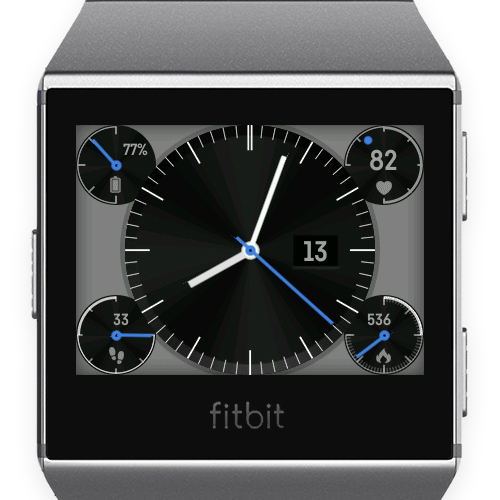 Fit Chronograph is designed for use with the Fitbit platform. This product is not put out by Fitbit, and Fitbit does not service or warrant the functionality of this product. Reboot your Ionic by long press the left and lower right button for 15secs and then press the left button. Wait for some minutes until the next code appears.